We are back with our final concert for the spring season, and are thrilled to share with you the amazing voices of Jean Rohe and Lucía Pulido, each playing a solo set. “A sure-footed young singer-songwriter,” in the words of The New York Times, Jean Rohe has been captivating audiences for years with her one-of-a-kind narrative songs. In her latest release, Jean Rohe & the End of the World Show, she showcases the unique, multilingual musical voice that she has honed since her debut record, Lead Me Home. Her intuitive aesthetic blend of folk, jazz, and Brazilian traditions led one Elmore magazine reviewer to call it “remarkable in so many ways I can think of no comparison”. The record won three Independent Music Awards in 2014. Raised in a participatory folk music scene, Jean’s inviting performances balance precise craft with the unpredictable boisterousness of community music-making. Alone or together with her eclectic ensemble, Jean Rohe & The End of the World Show, she has toured throughout the US and as far as Havana’s Teatro Nacional. In November she gave her first European tour. She lives in Brooklyn, New York. Lucía Pulido’s off-stage demeanor–delicate, reserved, unassuming–belies one of the most powerful and original voices in Latin American music today: a torrent of sound and emotion that mesmerizes with its energy and captivates with its sensibility. Back in the late 80’s and early 90’s, Lucía left an important mark in popular music in Colombia. Since her arrival in NYC in 1994, however, she has become a relentless explorer and exponent of the depth of Colombian and Latin American folklore. Of most significance is the fact that she has delineated her efforts with experimentation, surrounding herself with a variety of improvisers, composers and producers who are established artists and pioneers in their own right, such as Fernando Tarres, Erik Friedlander, Satoshi Takeishi, Dave Binney, Christian Fennesz, Burkhard Stangl, Franz Hautzinger, and long-time collaborator, producer, and musical director Sebastian Cruz. She is currently working on several projects with musicians in New York City and in different countries in Europe and Latin America. Her active career includes performances in Canada, United States, Europe, Asia, and South America. 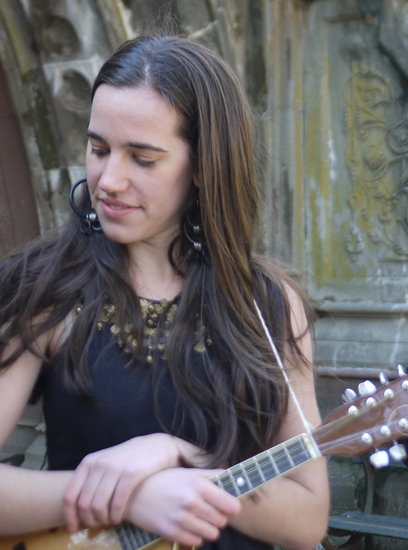 On her solo performance, Lucía will play an intimate but strong repertoire of songs accompanied by cuatro (traditional Colombian and Venezuela four string guitar) and small percussion. Doors at 2:30 PM, concert begins at 3:00 PM sharp. This entry was posted on Tuesday, June 7th, 2016 at 1:14 pm	and posted in Uncategorized. You can follow any responses to this entry through the RSS 2.0 feed.